The Apex Ambulator Boat Shoes. 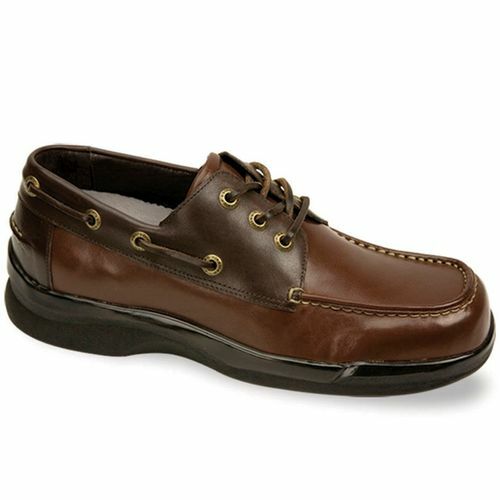 The two-tone men's Ambulator B2900m boat shoes provide comfort and protection for trouble feet. Apex Ambulator Men's shoes are biomechanically designed to provide extraordinary cushioning and support. The Apex Ambulator shoes are great for everyone, including people with diabetes, foot arthritis or other foot problems such as bunions or hammertoes. Brought to you by Aetrex Shoes. The Apex Ambulator Boat Shoes. 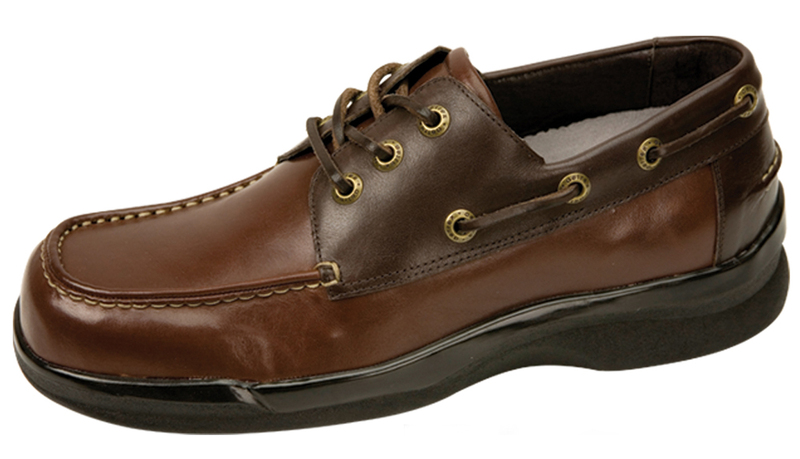 The two-tone men's Ambulator B2900 boat shoes provide comfort and protection for trouble feet. Apex Ambulator Men's shoes are biomechanically designed to provide extraordinary cushioning and support. Click to see all of the Apex Ambulator Shoes. Hidden-Depth Rocker Soles and removable Conform Orthotics. Plastazote lining molds to the foot to provide customized fit and protection for people with diabetes, arthritis and forefoot disorders such as bunions and hammertoes. The lightweight, removable Aetrex orthotics and Mozaic™ Customization Technology insoles provide optimum comfort and shock attenuation. Genuine leather uppers with soft leather linings for maximum comfort and breathablility. Protection: High & wide toe boxes with soft, safe linings help protect the foot from injury. Multiple removable insoles provide a 1/2" of removable depth for maximum protection and custom insole fitting flexibility. Cushioning: Patented, removable orthotics and polyurethane outsoles absorb shock forces and provide cushioning. The unique Hidden-Depth Rocker Soles and state-of-the-art removable PRS™ (Pressure Relief System) provides an equal distribution of pressure and unsurpassed comfort by delaying impact at heel strike, supporting the longitudinal arch, and dramatically reducing stress on the ball-of-the-foot, all which have been clinically proven to provide stability, reduce stress, and help facilitate walking. View all Apex items. Boat Shoes I found these shoes to be very comfortable and easy to walk in. Slight irritation to the back of one of my heels but that should go away when the shoes are fully broken in. Disadvantages: Shoe Width: Width runs wide.